Into The Woods: A baker and his wife, desperate to have a child, are sent by a witch to collect items from various fairy tales, and in return, she promises to end the curse of infertility put on the baker’s family. Into the Woods is a whimsical romp through a variety of popular fairy tales that doesn’t shy away from their Brothers Grimm dark side. Every member of its ensemble cast; including Meryl Streep, Anna Kendrick, Emily Blunt, Chris Pine, Johnny Depp, and Tracey Ullman, all give flawless performances in acting and singing. And the film deserves credit for its charming sense of humor. So, it’s a damn shame that the script was such an unholy mess. The lyrics to the songs were either statements of the obvious attached to forgettable melodies, or random declarations of theme that were mistakenly thought to give the story depth. The story, as it was presented at the film’s opening, was essentially over halfway through. The second half was a tireless dragging-out of issues we weren’t properly primed to care about. And the ending would have been kind of depressing if it wasn’t so confusing. I know theater people love them some into the Woods, but I haven’t really gotten theater people since the explosive popularity of Rent. So we’re giving it 2.5 fairy tale props out of 5. Why fairy tale props? Isn’t that kind of obvious? 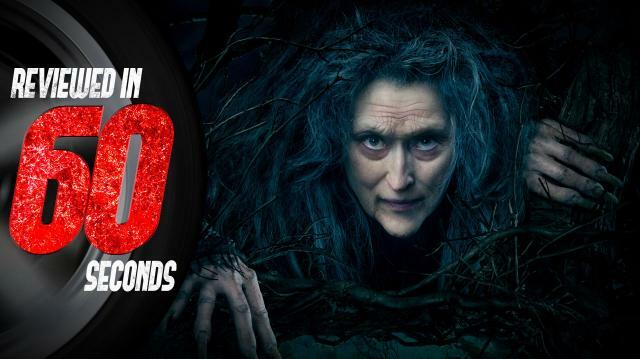 Into The Woods is now in theaters.